Quick post here to share a coupon with you all. 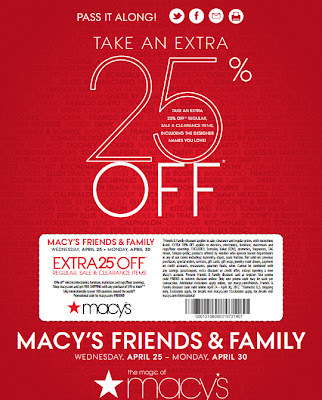 If you use this Macy's Coupon, you'll get 25% off all items. This coupon can also be used to take an additional 10% off on electronics, Furniture, Mattresses and Rugs. Free shipping online on all orders of $99 or more. This will only work from April 25 - April 30. So get your shopping on now if you're interested. THANK YOU FOR THIS!!! Im making an hour trip this weekend to Macy's to buy some polish with a gift card I won, this just made my trip even better! No doubt Macys is the best store for clothing but for cards I like to shop at Minted. 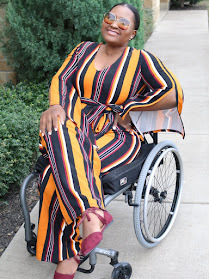 The best thing about Minted is, they offers discount by using minted coupon codes. I genuinely liked your innovative angle that you have on the topic. Certainly wasn't thinking on this at the time I begun searching for tips. Your ideas was totally easy to get. Happy to find that there's an individual here that gets it exactly what its is talking about. Thanks for sharing such an article. Really nice website with loads of great content! Thanks for the post it really defines the skill of writing in a nice way.